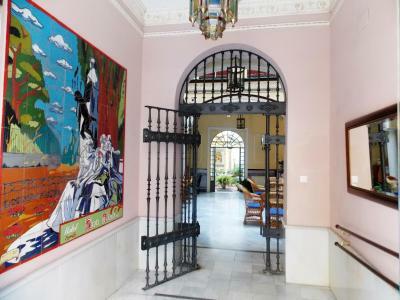 Lock in a great price for Casa Palacio Don Pedro - rated 8.1 by recent guests. Nice little hotel, well-located, lovely staff! I guess I had a reasonable price for Easter. 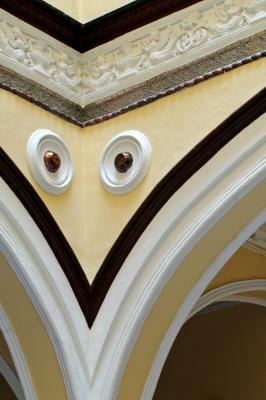 The main lobby is very impressive and very typical example of the local architecture. The staf was very friendly, and willing to serve our every need. 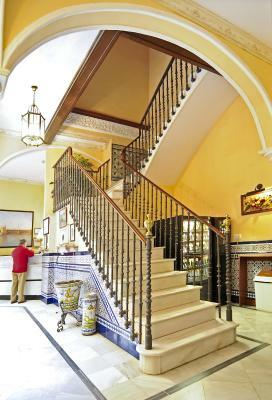 In overall it's an ideal place to stay for a few days in your visit in Seville. The room was arranged and cleaned every day. 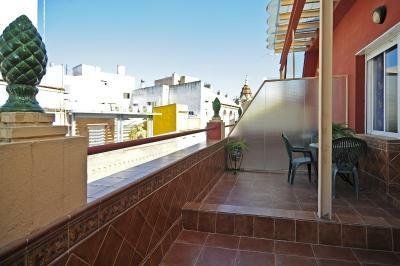 Good location in the old city center, close to all the amenities and good restaurants, not far from railway station. Not easy to navigate through the narrow streets with a car when approaching the premises, but there was a space at the front for short parking during check in. Location and staff very welcoming,friendly and helpful. 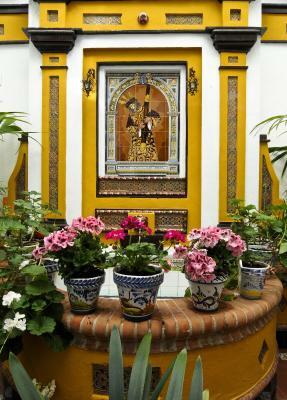 Casa Don Pedro is pretty with many tiled walls throughout. Has a nice atmosphere and is very quiet. Our room did have some street noise, but it usually simmered down by 11. Staff was very helpful whenever we needed help from where to go for dinner, sightseeing and getting us a taxi to the station. Free coffee and tea from a vending machine that sometimes had its own ideas of what to offer you! Once I wanted tea and got Hot chocolate instead!Floors are all marble or granite and so slippery after showering and cold. Hotel is near to areas with cafes which is good- It does not offer breakfast. Very quiet stay in great location. 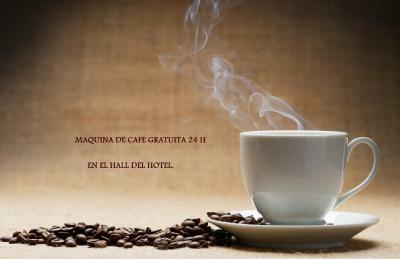 Free tea/coffee. Nicely decorated room. Spacious bathroom. Very polite welcoming reception. Highly recommend. Great value for money and good central position. Staff were very helpful and friendly. 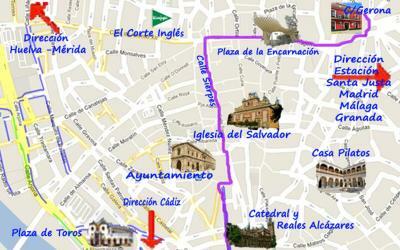 Well located within 15 minutes of both the Alcazar and Cathedral. The staff were amazingly helpful and bilingual. This was especially important as I lost my mobile phone and all my debit/credit cards on route to the hotel from the airport. Comfortable beds and the daily maid service. 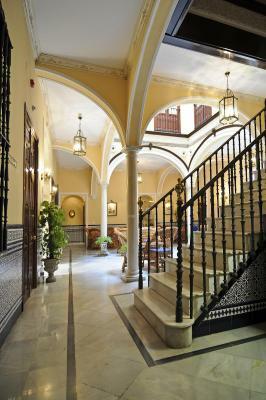 Don Pedro is situated in the historic centre of Seville, metres from the Palacio de las Dueñas. It is a charming 18th-century building comfortable rooms with free Wi-Fi within easy walking distance of Seville’s main monuments. 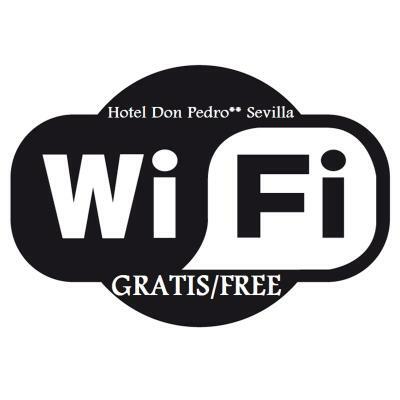 Guests at Don Pedro can enjoy free hot drinks in the lobby, while there is also a free internet terminal. 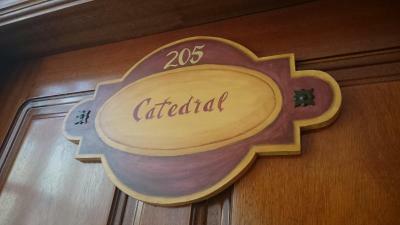 The 24-hour front desk can arrange excursions and book tickets. 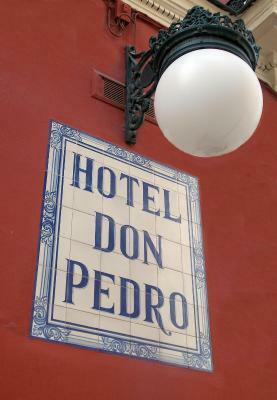 All of the pleasant rooms at Don Pedro have air conditioning, an en-suite bathroom and a TV. 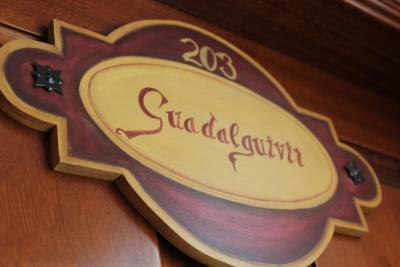 The rooms are each named after the most famous sights in Seville. 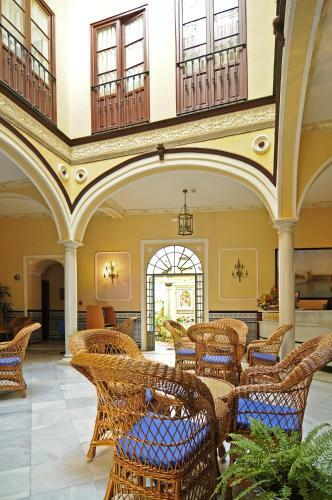 Don Pedro is around 0.6 miles from the Giralda and the Cathedral and is a short walk from the Alcázar. Two private car parks can be found only 20 yards away. 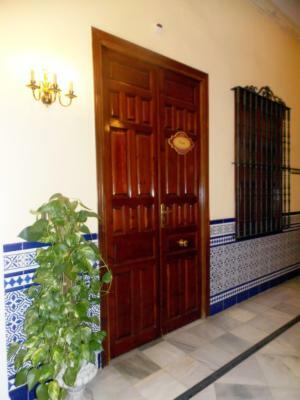 Casa Palacio Don Pedro has been welcoming Booking.com guests since 10 Nov 2009. 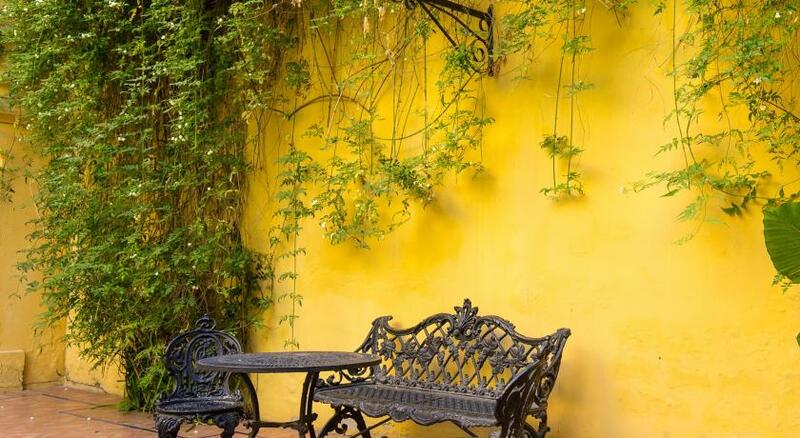 When would you like to stay at Casa Palacio Don Pedro? 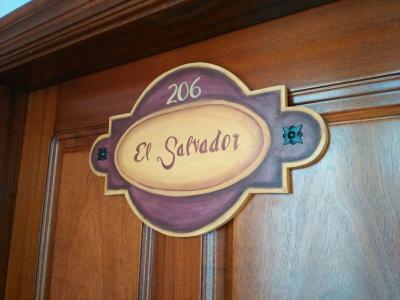 This air-conditioned room has a single bed and includes free WiFi, a TV and a private bathroom. Please note that the bed is 90 x 190 cm. 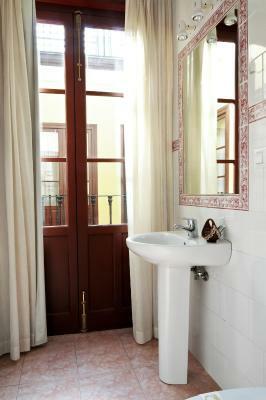 This air-conditioned room has a double bed and includes free Wi-Fi, a TV and a private bathroom. This air-conditioned room comes with one double and one single bed, or 3 single beds. It includes free Wi-Fi, a TV and a private bathroom. 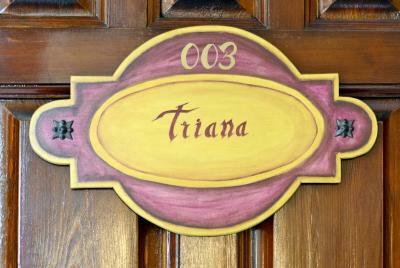 This air-conditioned room has 2 single beds and includes free Wi-Fi, a TV and a private bathroom. 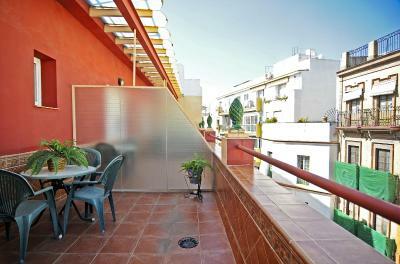 This air-conditioned room features a double bed and a pleasantly furnished terrace. It includes free Wi-Fi, a TV and a private bathroom. 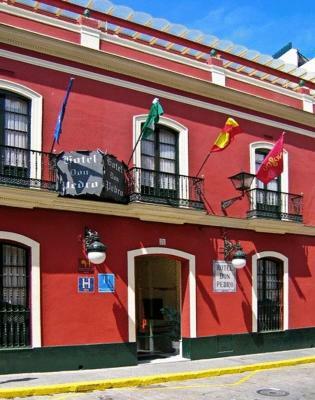 El Hotel Don Pedro** permanece abierto desde el año 2001. Ofrecemos un alojamiento personalizado y familiar. 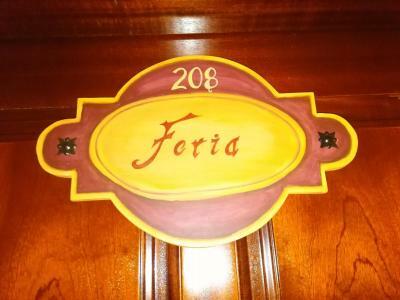 Todo el personal del Hotel hara que se sienta como en su casa!! 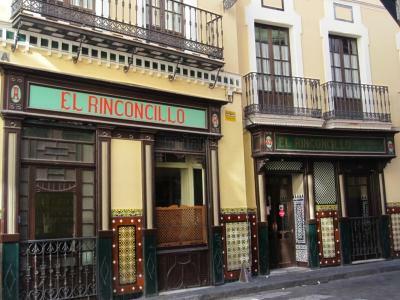 Hotel surroundings – This neighbourhood is a great choice for travellers interested in architecture, atmosphere and tapas – Check location Great location - show map Guests loved walking around the neighbourhood! 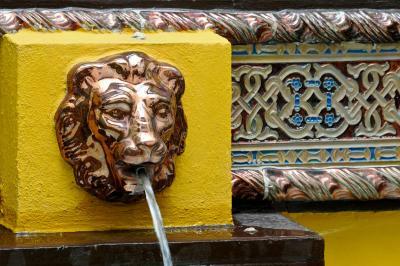 House rules Casa Palacio Don Pedro takes special requests - add in the next step! 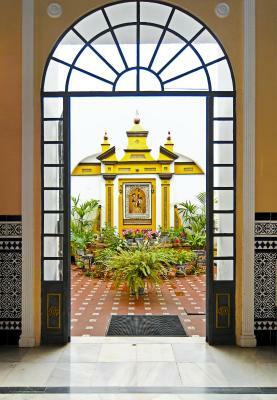 Casa Palacio Don Pedro accepts these cards and reserves the right to temporarily hold an amount prior to arrival. American Express cards are not accepted as a method of payment. Please note that guests at the hotel receive a 20% discount for a nearby car park. Please ask at reception for more details. I had a tiny room. Ok for one night´s stay but it was a double and would have been difficult for 2. Could use a hair dryer. 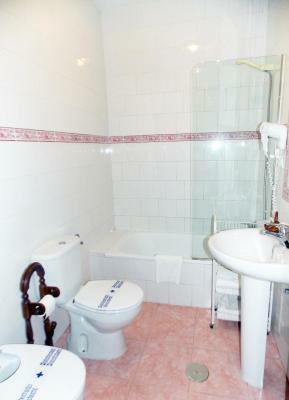 Provided alternate room when requested due to broken toilet and no shower protector curtain. This room was just a bit nicer but we stayed as staff were pleasant in working with us. Good enough location for basic room. 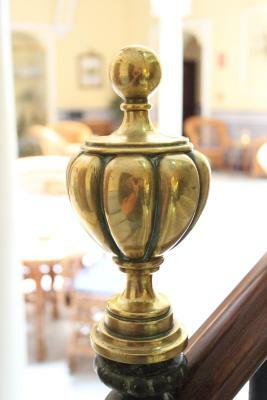 It was evident management was doing their best to keep facilities clean with regular cleanings and fresh paint. 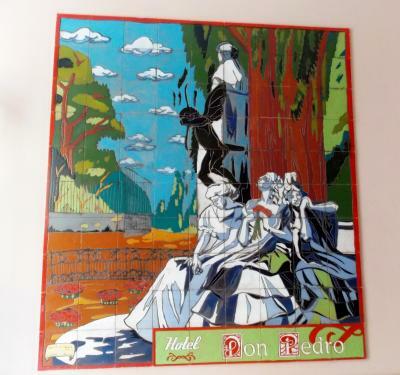 I was disappointed with the quality of the room for the very high price (170 per night), much higher than a room without a view and much higher than other hotels in this region of Spain. The room was beautiful, but very small and the pictures online didn't quite match what I was expecting. The view was incredible but somehow the window was much smaller than I expected. The pillows should be better for the quality and price of the hotel. The view was incredible. I could argue that the view was the best ever from hotel! The room was pretty and well decorated and the bathroom was also very nice. The room was well cleaned and the mattress was comfortable. The room had a slight smell of moisture, propably because of the age of the building, and the ground level rooms were a little noisy because of the street next to them. Very noisy room,right on street. Bed was very uncomfortable. The staff was pleasant and helpful. Strange system with remote controls (TV and air conditioning) handling (it was not convenient to carry them along all our bags). Tiny room and bathroom (according to price list in the room it goes for some 200 € per night in the high season!). Green panic lamp above the room door gave us headache (fortunately we were able to cover it somehow, so we could sleep normally). Excellent service provided especially lana ! The staff is super helpful and friendly.